There is a lot of talk recently about creating homes that are energy efficient. Two approaches to create energy efficient homes are Passive Solar or Passive House design. However, these are two very different principles. So, I thought I’d provide a summary of the keys points to try and lift the lid on what the key differences are. If you’re interested in building a home to be as energy efficient as possible, it pays to get an understanding on what’s out there and how key providers can help you achieve what you’re after. Being energy efficient is a lot more than using solar panels and insulating! 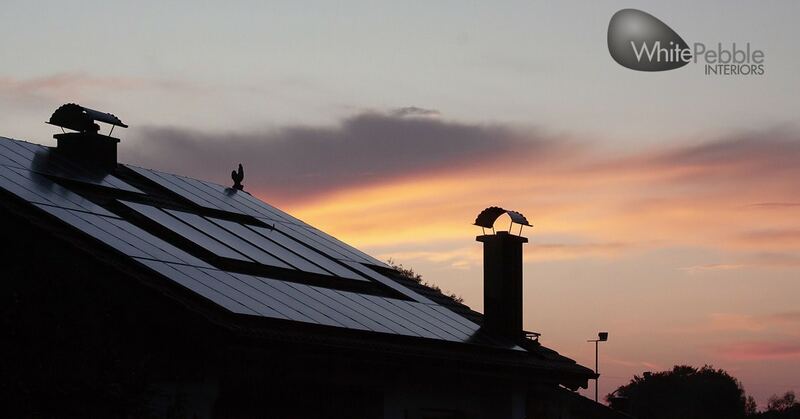 Many people are confused by the terms ‘Passive Solar’ and ‘Passive House’ (or Passivhaus, in German), and the reasons are hardly surprising: both expressions use the term ‘Passive’ in a similar meaning, and both pertain in some way to the subject of energy-efficient buildings. Whilst there is clearly some kind of relationship, Passive Solar and Passive House are not synonymous. In fact, if anything the relationship is generational; instead of being siblings, it might be said that Passive Solar and Passive House share a grandfather / grandchild relationship. Passive House is a very methodical, precisely calculated method of creating a low energy home. A correctly designed and constructed Passive House offers the certainty that it will perform as expected. The Passive House design software (PHPP) can model building performance that turns out to be very close to actual, measured values. Passive Solar on the other hand uses design principles around managing the sun to heat and cool a home, with the design of the home revolving around its orientation in relation to the sun. It’s history stems from homes being designed scientifically to maximize solar gain by positioning large amounts of glass towards the North (Southern hemisphere) to capture the sun’s warmth, and make use of thermal mass and more insulation. Meanwhile, the research that led to the initial Passive House standard was conducted in Darmstadt, Germany in the late 1980’s, with the first true passive houses being built in 1990. The Passive House work heavily extended existing scientific research conducted over the preceding century and more, the goal being to produce buildings which provide a healthy environment and year-round comfort for the occupants, whilst using very little energy for extra heating and cooling. In contrast to Passive Solar buildings, a Passive House building considers the sun to be just one source of heating. Heat is also conserved from internal appliances (e.g. TV, refrigerator, hot water, etc. ), and any warmth in stale air is also recovered. A continuous, unbroken layer of insulation around the outer perimeter, which defines the thermal boundary. A near-airtight building to prevent heat loss through drafts. Utilisation of a heat-recovery ventilator (HRV) to enable fresh air to come into the home without opening windows. No thermal bridges – no breaks in the insulation where the heat can escape. Utilising high quality, correctly installed windows. The building must be designed so that heat energy losses (through the walls and windows, and from ventilation) are almost exactly replaced by gains (from the sun, electrical appliances, etc.). The Passive House design software creates a healthy building environment that offers year-round comfort anywhere in the world, with no or very little extra heating or cooling energy required, and in a cost-optimal way. In summary, whilst a Passive Solar design approach can certainly deliver comfortable houses when things work well, Passive House delivers guaranteed results.